The Gazette des Beaux-Arts for March-April, 1920, has been sent off to you. As you will see, it contains the articleLouis Bréhier, “Les trésors d’argenterie syrienne et l’école artistique d’Antioche,” Gazette des beaux-arts 62 (March–April 1920): 173–196. by Bréhier of which I spoke, and a very good article it is.See also letter of January 31, 1924. Bréhier is excellent on such subjects, archaeologically. My sense of beauty is not affected in the same way as his, but I don’t mind about such subjective differences. A properly equipped and experienced archaeologist is a very rare bird these days, when the lime-light of fashion is turned on to one or two points of the huge field of art and the rest is velvety darkness, corresponding to a blank in the minds of our contemporaries, amateurs and museum officials. I don’t know where Bréhier heard that the chalice and paten were found together. I rather think I told you that Col. Lawrence,Lieutenant Colonel Thomas Edward Lawrence (“Lawrence of Arabia”) (1888–1935), an archaeologist in the Middle East before becoming a British military officer during the First World War. of Arabian fame, told me he was at Riha when both objects were discovered, and that he bought the chalice, which was soon after stolen from him.According to Getrude Bell, in a letter in the British Museum dated February 10, 1909, “the plate [paten] was found in a chapel or coenobium near Kalat Seman together with seven pieces less good which were seized by the government.” See Marvin C. Ross, Catalogue of the Byzantine and Early Medieval Antiquities in the Dumbarton Oaks Collection (Washington, D.C.: Dumbarton Oaks Research Library and Collection, 1962), 1:13. 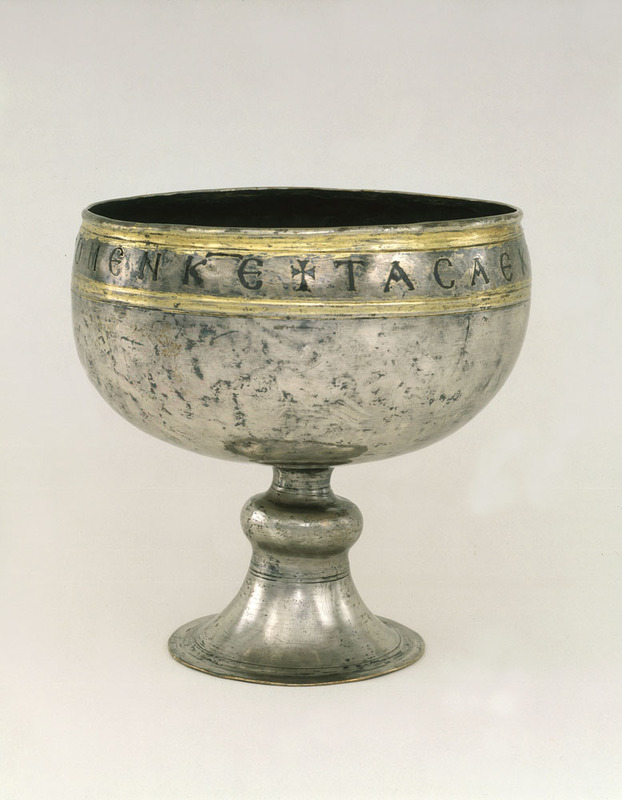 Tyler’s mention of Lawrence’s ownership of the paten (BZ.1924.5) is otherwise undocumented. In the summer of 1909, as an undergraduate at Jesus College, Oxford, Lawrence went alone on a walking tour through Syria, Palestine, and parts of Turkey, “living as an Arab with the Arabs.” While touring villages near the Euphrates in search of Hittite seals, he was robbed: “I meant to buy more, and found some rather jolly ones in a Turkish village one hour north of Tell Bashar;—but a beggar followed me from Meyra and bagged all my money and valuables. . . .” Letter from T. E. Lawrence to Edward Thurlow Leeds, September 19, 1909. See Jeremy Wilson, Lawrence of Arabia, The Authorized Biography of T. E. Lawrence (New York: Atheneum, 1989), 61–62. Holding the views you hold about the restoration of strayed objects of art (plaque from the Monomachos crown,See undated letter  and H. P. Mitchell, “A Dancing-Girl in Byzantine Enamel,” The Burlington Magazine for Connoisseurs 40, no. 227 (February 1922): 64–69. e.g.) to their whilom owners, you will be deeply shocked that I should never, no not for one fraction of a second, have considered “returning” the chalice to Col. Lawrence. Well, the recording angel may take my number, as poor George said;Possibly a reference to the writer George Bernard Shaw (1856–1950). In Archibald Henderson, George Bernard Shaw: His Life and Works, A Critical Biography (London: Hurst and Blackett, 1911), 33, Shaw is quoted as saying: “. . . many of my artistic feats may be less highly estimated in the books of the Recording Angel than this prosaic achievement. . . .” I’ll chance it. Moreover, though were this not the case I don’t say it would affect my decision. I have heard it said that Col. Lawrence’s memory is not absolutely faultless. 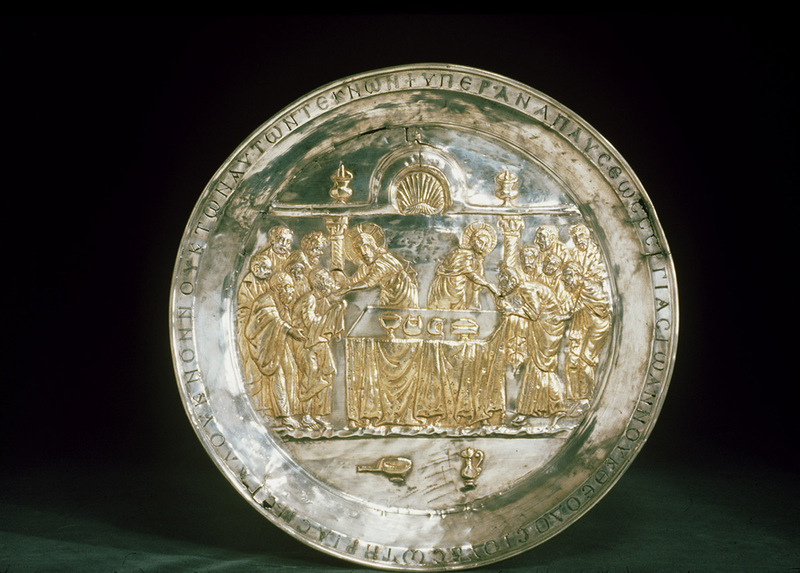 That paten is a most snorting, magnificent object. Remember that when the dealers and their jackals are loud in praise of an object it’s because they want to work it off on an amateur. When they are silent about it it may be because one of them wants it for himself. Now, dearest Mildred, I am going to repair to the Cercle de l’Union,The Cercle de l’Union, also known as the Cercle Interallié, a social and dining club established in 1917 at 33, rue du Faubourg Saint-Honoré in Paris. where there is a paté de perdreaux“Partridge paté.” whose acquaintance I made last night and to which I have further remarks to address. An ascetic diet would be well worth following were it only for the sake of the intensity of the pleasure one experiences when one does permit oneself to rove from the strait [sic] path. Bless you, and much love to you and Robert from us both. I was sorry to see that M. de Lavaux [sic]Probably Louis Delavaud (1860–1924), the French minister to Norway (1905–1911) and Sweden (1918–1923). He died in January 1924. had died.